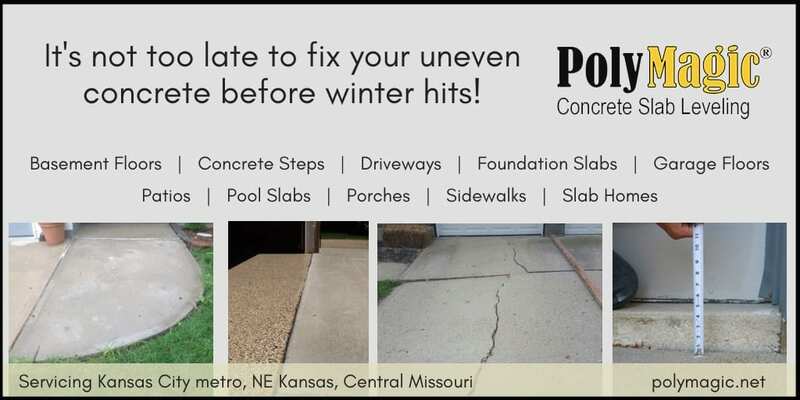 No Time for Cracking Concrete? This article highlights the best option to lift uneven concrete areas, utilizing polyjacking. 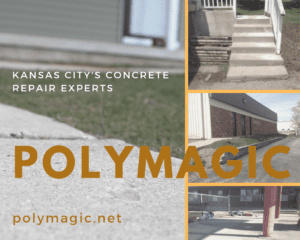 As Kansas City’s leading concrete raising company, PolyMagic has some tips on utilizing the best equipment and expertise to get the intended results. 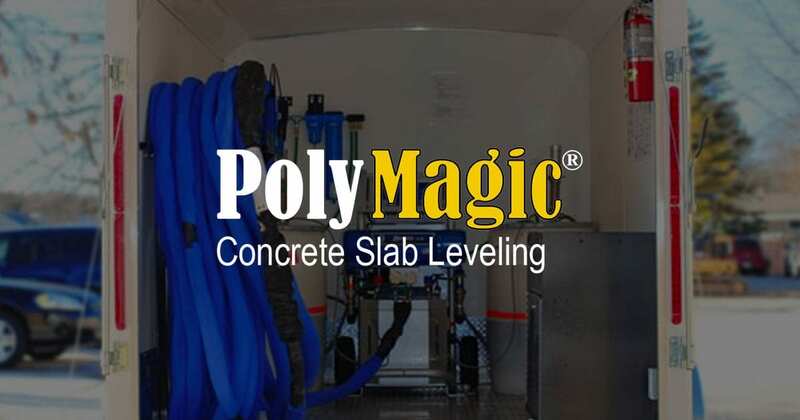 PolyMagic’s polyurethane foam method uses the concrete slab as a means of delivering poly foams that raise concrete, fill voids, and stabilize soils. A ⅝” hole is strategically drilled through the slab into the subgrade. Then, a tapered delivery port is installed into the hole. 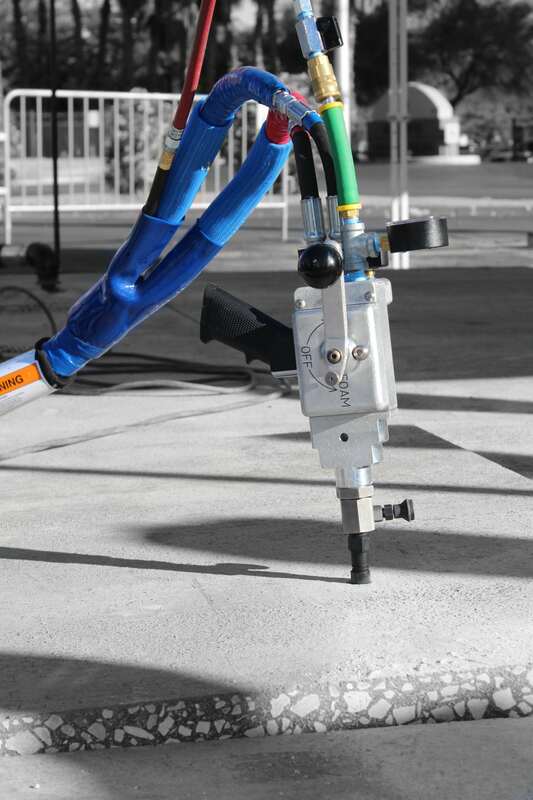 The injection gun is connected to the port, releasing polyurethane material through the port and slab. Expansion of the material occurs within seconds, raising the concrete. 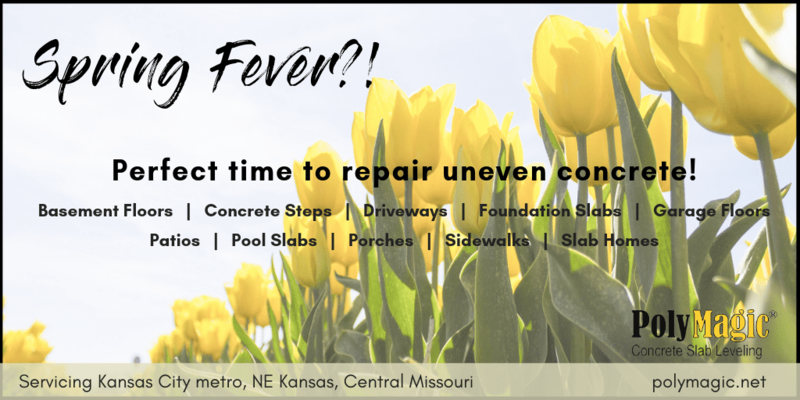 When people consider the best option to lift uneven concrete areas, one might consider mudjacking. This is a viable solution for certain situations. However, in many cases the soil is still disturbed after the grout mix of mudjacking is inserted between the soil and the concrete slab. The shear weight of the mixture can cause additional settlement. 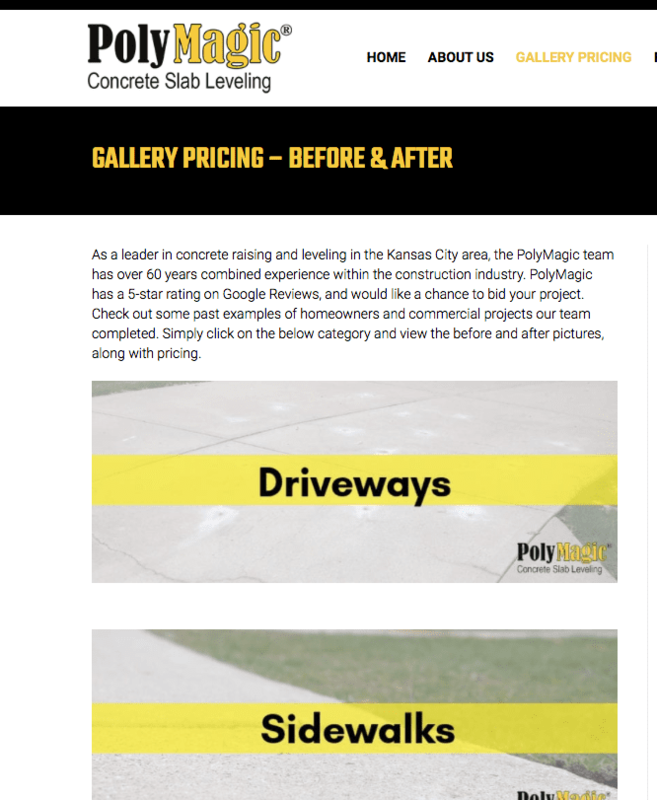 Polyurethane weighs 250 to 300 pounds less per yard then traditional mudjacking material. 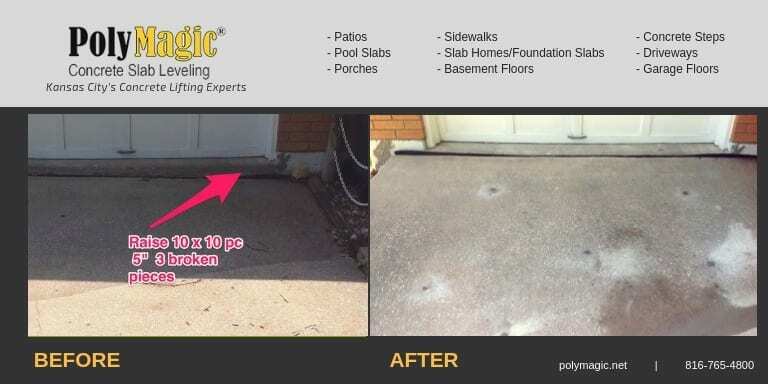 An additional benefit to polyjacking as the best option to lift uneven concrete areas is the cost effectiveness and time allocation of the process. When compared to concrete replacement, the process of raising concrete with polyurethane foam is inexpensive. 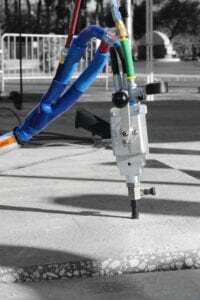 It is also exponentially faster than replacing concrete. 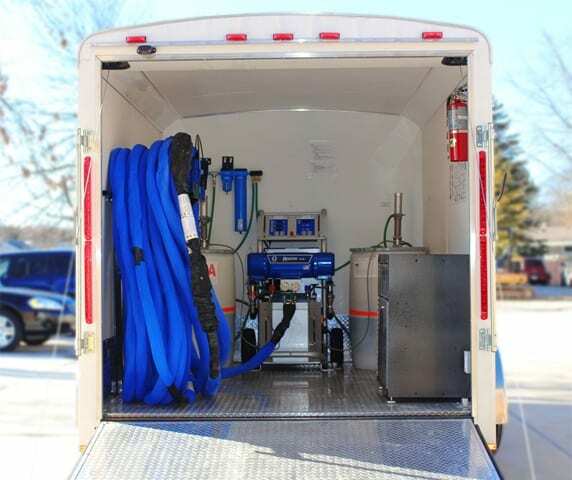 Repaired areas are ready within minutes to be utilized, as they were intended.